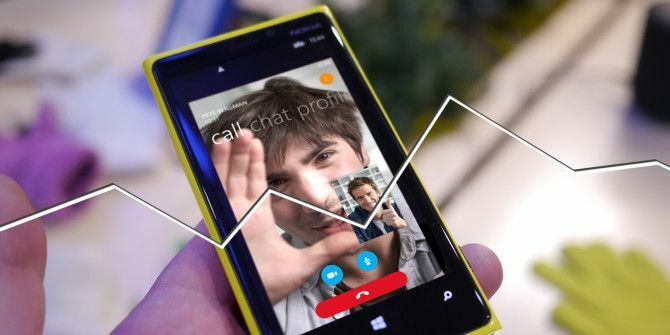 Owned by Microsoft since 2011, Skype would seem to be a perfect app for Windows Phone 8. But does it deliver free Skype to Skype video calls, instant messaging and voice calls as effortlessly as it should? Call charges can be high, especially if you’re someone who regularly makes overseas calls. An app like Skype should help to save money – but does it just cause more frustration than it is worth? Upon installing and launching Skype, you’ll quickly see that it is a polished product. The user interface is very similar to that on other mobile platforms and Windows 8, with only the menu font betraying the fact that you’re using a Windows Phone (check the screenshots above with the latest version of Skype for Android). One thing you may notice when using the app is that it tends to be limited once pushed into the background. If Skype is left running and you switch to a different app, its reliability in alerting you to incoming messages of any kind will be severely limited. Skype currently offers instant messaging, voice and video calls on Windows Phone, and these can be accessed easily using the usual Windows Phone slide and tap interface. After launching, you’ll see a list of your recent contacts. Sliding left and right will reveal favourites and a list of people in your Skype address book, each of whom has his or her own profile in the app. The menu at the foot of the app can be used to start a new call, new chat message or add people and numbers. Here the settings menu can also be accessed where notifications for Skype and Windows Messenger messages can be toggled. Finally, you can toggle availability via the button in the top right, where you should also see the option to view your account and buy more credit. Windows Phone’s version of Skype might be expected – given its current owners – to do everything that other versions of the app do. The basic functionality is there. 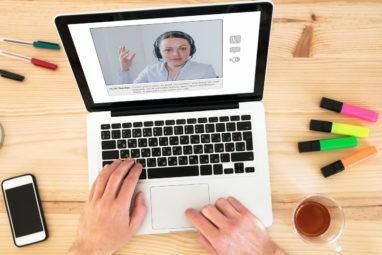 You can send instant messages, conduct voice calls with other Skype members and domestic and mobile lines, and also engage in video chat with a suitably connected contact. Unfortunately, success in anything other than instant messaging relies on a strong Internet connection. For the best results you should use Skype over Wi-Fi or 4G. 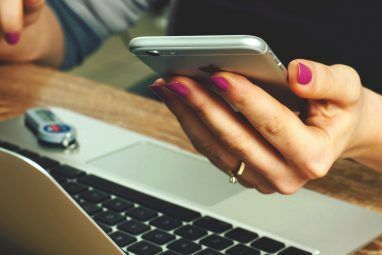 Where you’re limited is with some of the functionality of the app when compared to other platforms – see below – and in your ability to do things like record calls. In order to give you a better idea of how well this app performs, I’ve tested its performance as a phone, video chat and instant messaging app. 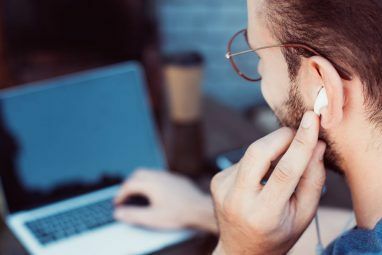 Voice calling is reasonably reliable on a strong connection, but is prone to drops and distortion. Best results can be achieved calling other Skype accounts, rather than phone numbers (which some might argue defeats the whole point of Skype, but that’s another conversation entirely). For video chat, the Skype app is poor. You can see the results of a video chat across my home network in the accompanying images. While audio is good, video is disappointing. Hardware-wise, the recipient’s desktop computer (with HD webcam) was connected to my home Wireless N network via Ethernet cable, mainly due to poor wireless Feng Shui Wireless Feng Shui: How to Optimize Your House For Best Wi-Fi Reception Wireless Feng Shui: How to Optimize Your House For Best Wi-Fi Reception Setting up a Wi-Fi network should be an easy prospect, shouldn't it? I mean, a house is a closed-in box, and you'd think when you place a device that transmits wireless signals in all directions... Read More . Meanwhile, the phone was connected wirelessly to the same router. Results should have been far superior. Using the same setup and an Android HTC One in place of the Nokia Lumia 920 yielded superior results. This is a setback for anyone wanting to take advantage of the high spec of the Nokia phone in this way. Whether the problem is with the app or the phone’s hardware isn’t clear – the Skype network cannot be to blame, however, as everyone would be noticing problems. Instant messaging works reasonably well, but is hamstrung by the lag issues. Furthermore, it doesn’t handle file transfers; you can neither send nor receive files via Skype. Unfortunately, iPhone and Android users don’t miss this expected desktop functionality, so it seems odd that Microsoft should omit it from its own mobile platform. The + button on the message box on other platforms only allows the adding of participants or the starting of a video message. Skype for Windows Phone 7.5 and 8 is available free from the Windows Phone Store although you will need a subscription or pre-pay account to make calls to landlines and other mobiles. Despite the lack of file transfer options, the instant messaging aspect of the app works well. The same can be said of voice chat, but Skype to Skype is clearly the superior option. Video calling is regrettably poor. Whether this is a factor of the move away from peer to peer since Microsoft’s purchase of the application isn’t clear (it now relies on a central client-server dynamic) but it seriously calls the app’s key feature into question. As the best VoIP option for Windows Phone, however, you’ll find Skype in our list of the Best Windows Phone Apps. Explore more about: Instant Messaging, Skype, Video Chat / Call, Voice Message, Windows Phone. Very interesting review. I've got a new 4G 60GB a month phone and data European account and have abandoned my fixed phone line, aiming to go Skype for national out calls, and occasional international calls. About to pick a 4G phablet. After this review I'm likely to go Android. I agree with others finding WP to be slow in building its "ecosystem." The main thing Microsoft's got is Nokia related - the cameras and the maps. The rest - meh. True! Microsoft is digging its own grave . What bothers me is that Skype for WP8 doesn't even have the same functionality that I remember from iOS' app. For instance, I only have two statuses on my phone: online, and invisible. But on the iOS version, I can remember I has online, away, do not disturb, invisible, and offline. Ever since Microsoft closed MSN, and replaced it for Skype, I mostly use Skype for instant messages, I find these missing features to be disappointing. However, I find it's not just how Microsoft handled one of it's own applications on it's own mobile platform, but rather the lack of features and apps in general on WP8. I deeply regret getting a Lumia 520, and wish I had gotten an Android instead. Don't get me wrong...I'm not saying that WP8 is terrible...I'm just pointing out the facts, and explaining why the platform isn't for me, like I thought it would. A shame that you don't have the foresight or knowledge to mention that Skype is expected to be fully integrated with the Windows Phone 8.1 update. I disagree. It's a shame you feel the need to be so rude. I'm a Windows Phone early adopter. I bought the HTC HD7 on the day of its release, I've used three Nokia Lumia models, and have had no other phone in a solid 3 year period, and have been completely immersed in the WP world in this time. I'm more than aware of what is coming, and what has been. However, perhaps it is beyond you that this is a review, not a seance; if Microsoft does manage to integrate Skype for WP8.1 - given the misgivings of the networks the jury is still out on this - then we'll review that state of affairs when it occurs, not before. Should you be able to make constructive comments, please feel free. I've got a Nokia Lumia 900, WP7.(?) and I've found Skype to work pretty much as well as I would expect on a phone. It's interface is basic, but for me the functionality is there for video and voice calls. Could it do better? Yes, and I can't even guarantee I've ever tried it when not on WiFi. Bottom line for me is that Microsoft hasn't been able to build or push the quality and variety of apps that other eco-systems have, so my next phone won't be a Windows phone.